Micromax Canvas Fire 5 smartphone has been launched in India at Rs. 6,199. The music-centric device features dual-front speakers and Auro 3D Sound technology. The phone also comes with six months of Gaana+ services that will allow users to download an unlimited amount of songs. The phone sports 5.5-inch HD IPS display and is powered by a 1.3GHz quad-core MediaTek processor with 1GB of RAM. The device offers 16GB of storage that can be expanded by up to 64GB. The phone runs Android Marshmallow v6.0. Micromax Informatics, India’s largest handset manufacturer today announced the launch of its new smartphone for the music lovers – the Canvas Fire 5. Launched with the unique and compelling music features like the front firing speakers, Auro 3D sound, and much more the new smartphone aims to increase the music adoption in India. The smartphone comes with a 6-month free access to premium Gaana+ services that allow users access to unlimited song downloads. The digital music consumption is expected to reach 273 million users by 2020 with on-demand services led by mobile audio and video content is at the cusp of an inflection point in India. With this growing trend, the Micromax Canvas Fire series continues to evolve and adapt to the consumer’s music needs both from a hardware and services perspective. With the Canvas Fire series, Micromax has always attempted to bring innovations that enhance the audio experience for the consumers. The Canvas Fire 5, therefore comes with a large 5.5” HD IPS Screen and Aura 3D Sound technology that provides a realistic surround sound experience like never before, redefining the entertainment experience for consumers. Flaunting its dual front firing speakers and Auro 3D Sound technology, Canvas Fire 5 offers an excellent surround sound experience for music aficionados and delivers clear, room-filling deep sound. Auro-3D is a next generation audio format that delivers a full three-dimensional sound spread capable of reproducing natural acoustic space. It creates a sensation of sound reproduction from around and above the consumer. To complement its music-centric functionality, the smartphone provides an exciting offer for music lovers – 6 months free premium Gaana subscription that allows access to unlimited song downloads. Powered by 1.3 GHz quad-core MediaTek processor, Canvas Fire 5 is packed with 1GB DDR3 RAM, 16 GB ROM ( expandable to 64GB) for a lag-free multitasking experience for the power users. The dual SIM smartphone features a 5.5’’ HD IPS screen providing an immersive entertainment experience for watching videos, browsing the internet or playing games. The Canvas Fire 5 comes with a long-lasting battery capacity of 2500mAh to enable the consumers to do a lot more with their smartphones. The new smartphone is ideal for photography enthusiasts as it sports an 8MP AF rear camera and the 5MP FF front camera makes the device excellent for selfie lovers, too. With the latest Android Marshmallow comes with a cleverer Google Now; custom tabs, better battery life enhancement feature, new boot animations, customizable toggles and much more. The smartphone comes with the Gravity Calling feature that makes it easy for consumers to take the call from any side. Available in Champagne, Grey and Silver, the Canvas Fire 5 is available in Micromax’s offline channel at a pocket-friendly price of INR 6199/-. @ 6199/- the feature offered is really worth. Nice post with detailed technicality. 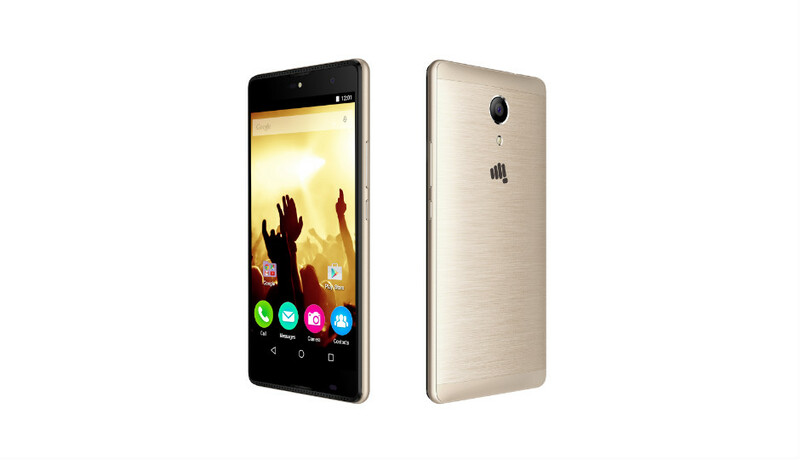 I hope many will attract towards Micromax Canvas Fire 5. Will look forward to read about more gadgets. Mobile phones are becoming commodities now with each new model redefining the 'commodity'. And Micromax is one company which is leading in this. Thanks dear, and yes Micromax Canvas Fire 5 is definitely creating a lot of buzz in the market. Its very much true and i second that, Micromax is bringing that kind of change which was very much required.